In this article, we will modify the welcome layout created in our previous article and add a WebView widget to it. If you want to read more about the welcome page, click here. We will also see how we can load the WebView. Create the html page that you want to show in the welcome page. Save the file in assets folder as an html page. Open the welcome page layout that we worked on in our first article. It will be under res/layout. Click on the ‘Graphical Layout’ tab. Open ‘Composite’ palette, drag and drop the WebView widget onto the layout. We want this WebView right below the welcome text. For this, we will edit the xml itself. Since we will be dealing with Ids of the widgets, to place relatively, you must assign proper Ids to each widget. 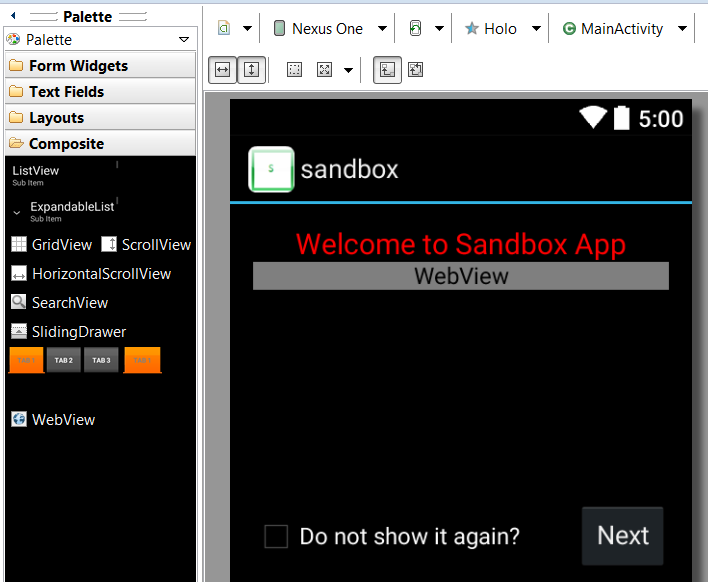 Once you drop the WebView widget, place it under the ‘Welcome to Sandbox App’ text and then edit the xml instead. I usually drop the widget and then edit the important pieces of the xml like the id, name, layout_width, layout_height and the position attributes like layout_below. 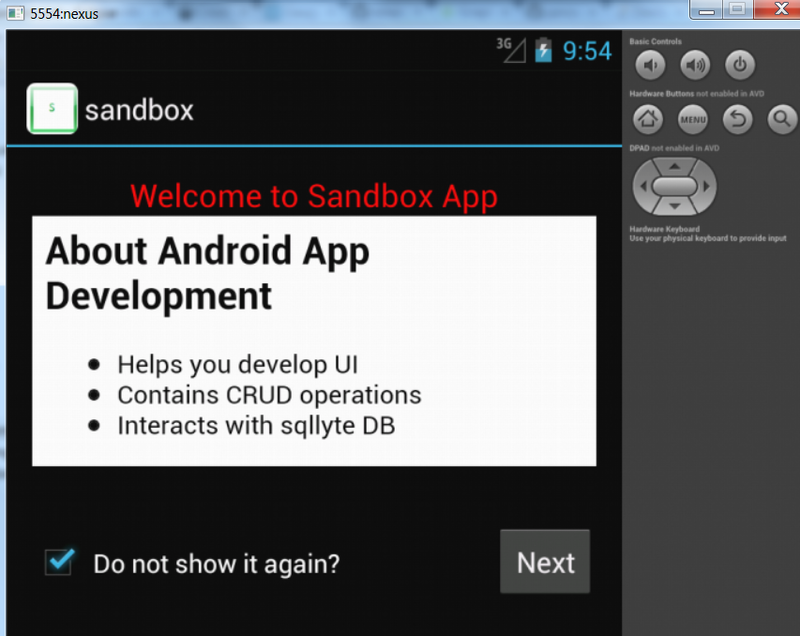 Next, we need to load this web view widget in the onCreate() of the welcome activity. R.string.about_html holds the file name. Here is my entire welcome activity class. In the next article, we will start adding something so that the data shows up in the list page.